Currently @ 47% WR which is going up and have previous experience in Clan battles reaching the Storm / Typhoon / Hurricane leagues in previous season. Can follow orders precisely and extremely loyal to the clan I will be in, from me you can expect nothing but my best if you will have me. p.s. I am close to unlocking the Stalingrad cruiser which will be very useful for upcoming CBs, I have nearly accumulated enough steel for her. so do tell us which clans you were in that reached typhoon or hurricane? Yeah Salentine is right, I was going to message but a few too many red flags with this guy. He was in 1701 for 1 day, HEROZ for 3 days, SBS for a month and a half and R-U for 3 days. None of which are Hurricane clans and at no point during the current or last Clan Battles Season was he a consistent member. Before this he was in ADR-E for a week, DNH for 2 weeks and with us in BOATY for 2 months. I was surprised to see us in the list as I don't recall the name nor remember the reason for his departure, but someone else may have brought him in. He certainly didn't play CBs with us as I'd remember him. Now I do have the Stalingrad because BOATY have for the previous three seasons (including the current one) reached Storm League 1 and I have personally participated in Ranked down to around rank 10 for the past few seasons. But I had to buy Steel Monsters & Prinz Eitel to push me over the top with Steel and blitz though the 14 or so T10 ships I own, plus not to mention re-buying all the t8 and t9 ships as well. Even with the Steel Monsters campaign and Prinz Eitel Frederich I cannot see how a player this new, with such little under his belt and so few ships he could even be close, so I unfortunately have to call [edited]. He may have an account on a different server, but unless specified we have to take this on face value alone. Recruiters don't like being lied too, it takes a lot of work to keep a clan of up to 50 members functioning and trouble makers are soon ejected. but seriously last week you had an ad that you are a unicum bb player. I was surprised to see us in the list as I don't recall the name nor remember the reason for his departure, but someone else may have brought him in. That's Argosax. He changed his name. WIth SBS we reached Typhoon and Hurricane Leagues in the last CB Server crossover and I have STORM League experience with BOATY, with HEROZ I left because even though they are in STORM League they could not arrange a regular team. I got bored waiting so here I am again, want a regular team in storm league. Like it or not those are the facts. The crossover counted for nothing and was a test only. Literally everyone who played enough games got to Typhoon and Hurricane, that was the point, to test the matchmaking and the cross region compatibility with different leagues. BOATY certainly got to both Typhoon and Hurricane i nthe crossoever test as did practically every other clan who participated. In no way can you or I call our selves Hurricane or Typhoon material based on it. Misrepresenting yourself or the clans you played with helps no one. I've never seen a serious post or post that wasn't filled with lies from you. You get answers in the same manner you write your posts. could you point out on SBS's rostral column where they reached typhoon or hurricane? they have only reached storm this season, and you left them before this season started. You left Boaty in a huff because we wouldn't allow you to use a Kurfurst in Clan Battles and you refused to take a cruiser. In this thread you have shown your true colours as a blatant liar and believe you me you will not be getting an invite back ever, so I guess it suits us both. p.s. I was allowed to use a GK in CB I clearly remember using it with BOATY and we won a few with me using it, so try not to spin too much cotton candy. It was the alpha team that you did not want me to use it in regardless of the fact that she can hold her own. I will not use any ship I am not good in, so asking me to use a Cruiser is just stupid! Also the snobbery in Alpha was beyond laughable, some of your alpha players of which are not even that good. The hours of listening to you blabber over discord were unbearable too, thankgod I left. Why are you debating with me? We played clan battles cross-server against Russian teams and acquired a purple clan tag, we reached Hurricane league and not many other clans did. 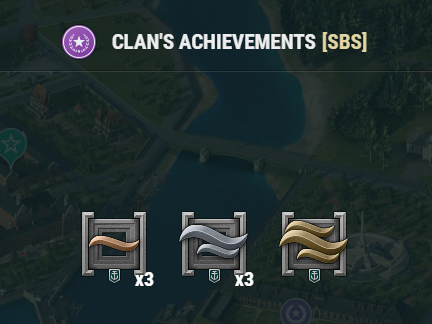 So we must have achieved something as I did not see every clan with a purple tag at the end of the season. This was the start of our interaction, shall we post the bit where you offer me a slot in your clan as long as I appease your big little man ego? Really? it was a test season, wasn't recorded and you got 50 points per win... everybody and their dog got into hurricane, how many of those clans are now in and around the top of typhoon and hurricane? I dunno mate, this entire thread has brought me no end of joy! Much appreciated, he is a man of many disguises, none of which can use a cruiser apparently.